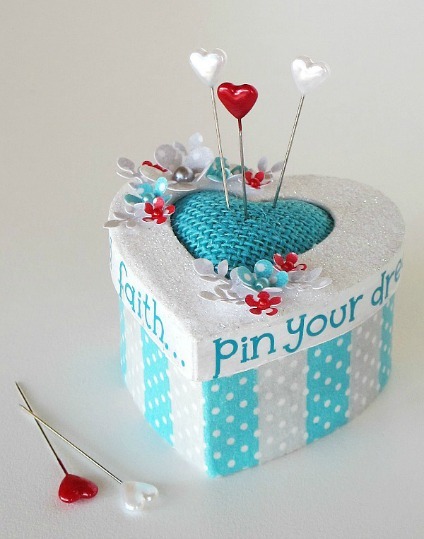 "Pin Your Dreams on Love, Hope and Faith"
Pinterest has certainly given the word 'pin' a new lease of life and we hear it mentioned on a daily basis when we are on-line. 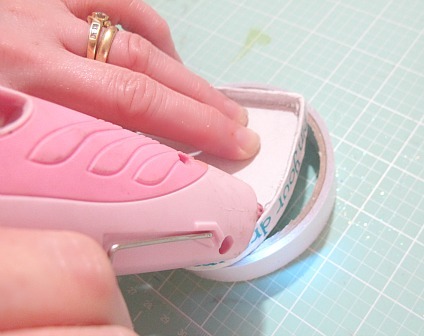 However, the good old sewing pin can be a little more elusive when we are in need of pinning something in real life. Hello, it's Melinda with you today and I am always trying to find convenient homes for my pins so I decided that it was time to make a few good old fashioned pin cushions! 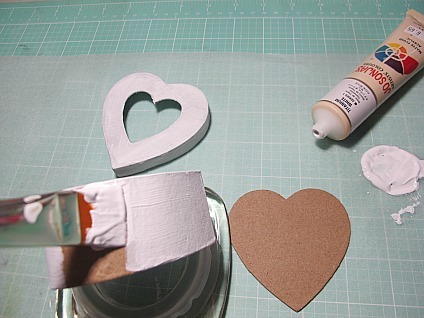 I purchased these cute little papier mache heart boxes from Spotlight here in Australia and they've been on my desk waiting for inspiration to strike. Today I'm going to share how I turned this simple little box into a pin cushion using the gorgeous new Doodlebug Washi Tape. STEP 1: Paint all the pieces to the box in your chosen colour and allow to dry. 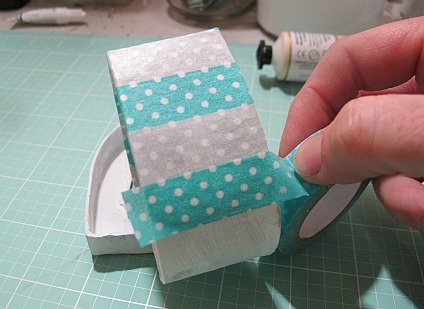 STEP 2: Completely cover the base of the box in Washi tape. I've used a stripe pattern in the grey and teal polka dots and have lined up the dots to make it look like a continuous piece all the way around. Fold the edges over. 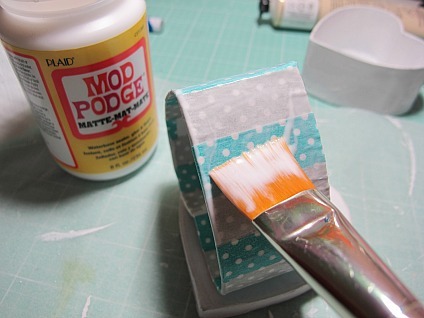 STEP 3: Give your box another coat or two of paint on the inside and the very bottom to cover the washi tape overhang and allow to dry. Next step is to completely seal all pieces of the box using a good quality sealer that won't yellow once dry and allow to dry. STEP 4: Using the two pieces of the lid as templates I cut a heart from burlap and enough foam to fill the lid completely. I also cut a smaller heart the size of the window to allow the burlap to rise up slightly outside of the lid giving that perfect little pin cushion look. 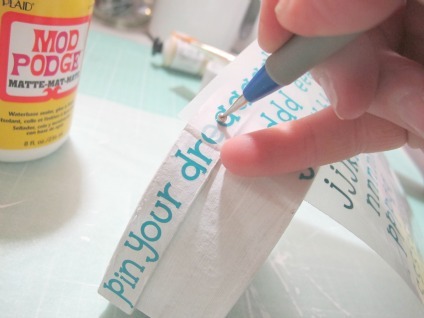 STEP 5: Add your sentiment around the edge of the lid using rub-ons or alphabet stickers. 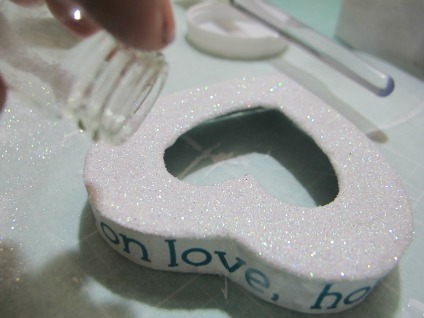 Step 6: Then coat the very top of the lid in glue or sealer and give a thorough coating of glitter. 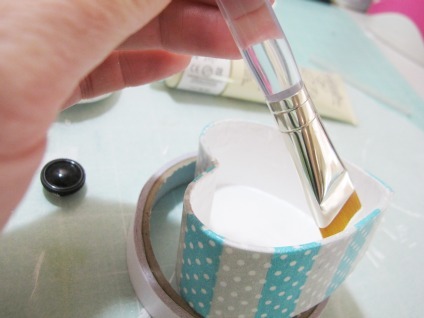 Once the glue has dried, shake off excess glitter and then give two or three coats of hair spray to seal the glitter in place so it won't come off onto your hands when you take the lid off your pin cushion. STEP 7: Place your lid onto a roll of tape of similar so that it will be held firmly in place but will allow the foam to protrude through the hold. Firstly place the burlap into the heart, then the smallest of the hearts followed by the remaining large hearts and lastly the lid base plate and push everything down as hard as you can. Use a hot-glue gun to adhere the base plate in position and once cool give the glue and the base plate another coat of paint and sealer. STEP 8: To make all the embellishments for the top of the pin cushion you will need to stick strips of Washi tape onto a piece of cardstock and punch out the required shapes. I have used flowers and leaves for a floral approach. 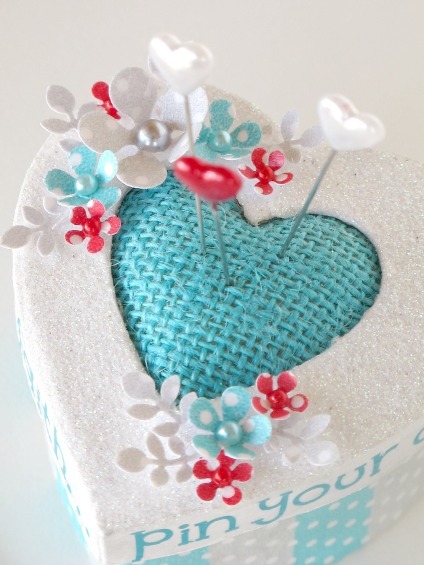 STEP 9: Using a strong bonding glue or hot glue gun, adhere your embellishments and add a few pearls to the flower centres. Finally add your pins and you are away! 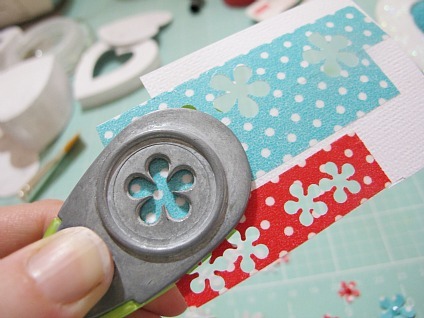 I hope today's tutorial has inspired you to grab your new Doodlebug Washi Tape and starting 'Pinning'! 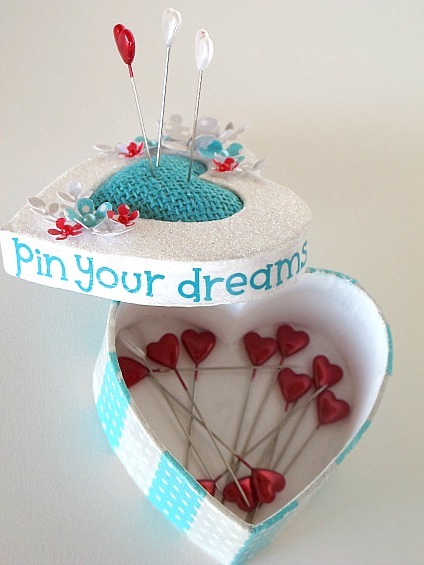 And speaking of pinning... Lori Allred (Pinterest Extraordinaire) has created a board dedicated to the humble little pin cushion which you can visit HERE. So cute, love the project and I love the heart pins! This is brilliant my friend! I love everything except the glitter, but then you know how I feel about it - LOL. Submit this please! Love this idea! Thank you for sharing it with us!! Really awesome Melinda!!! Love everything about it!! Brilliant! Totally doable, too. Love the little flowers! i just love this to PIECES!!!! Thanks for the tut! 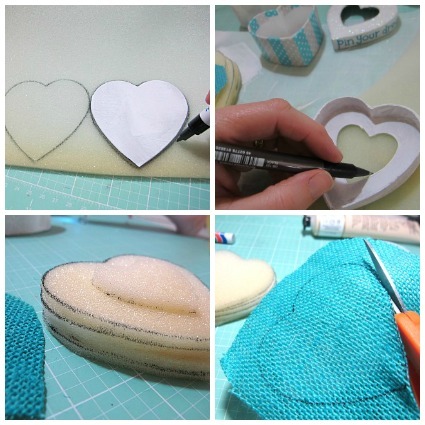 Fabulous idea, adorable project, and great tutorial! Thanks! Your photos, your colours, priceless"